The measure would be a major change for Oregon—one of the least regulated states for campaign donations. 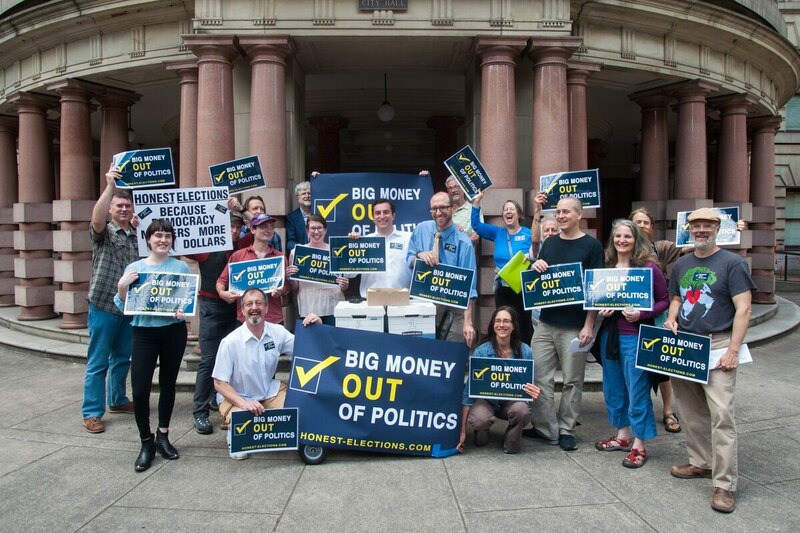 A Portland campaign finance reform measure has qualified for the November ballot, the city auditor's office announced today. The measure, called the Fair Elections/Clean Governance Charter Amendment, would prohibit contributions from corporations, and limit contributions from individuals and political committees to $500 per candidate. It would apply to all city positions including mayor, city commissioners, and city auditor. Petitioners previously reported collecting 55,194 signatures, but the city was only able to verify 34,227. Although significantly less than the original estimate, the measure still reached the necessary 34,156 signatures needed and will appear on the November ballot. A similar measure was approved by county voters in 2016 with overwhelming support—89 percent in favor. Since then, the county measure was largely struck down by a Multnomah Circuit Court judge, citing free speech provisions of the Oregon Constitution. Backers are appealing that court decision.